Pilonidal sinus disease (PSD) is a common inflammation of the sacrococcygeal region (26 pts/100.000 people), mostly affecting younger age and males (a male/female ratio 2:1) . The disease can affect quality of life due to local pain or discomfort and be a significant cost to society due to absence from work before and even after therapy. 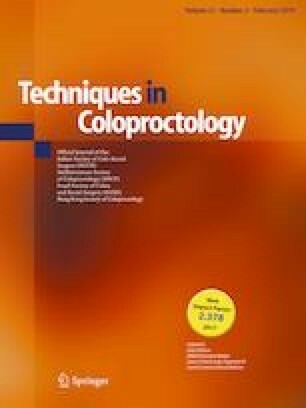 The preliminary results of this study were presented at the 7th National Congress of the Italian Society of Colorectal Surgery, Rome (Italy), September 30–October 3, and published as abstract on Tech Coloproctol (2017) 21:823–845. The study was approved by the ethics committee of each center which participated in the trial. All participants gave written informed consent.